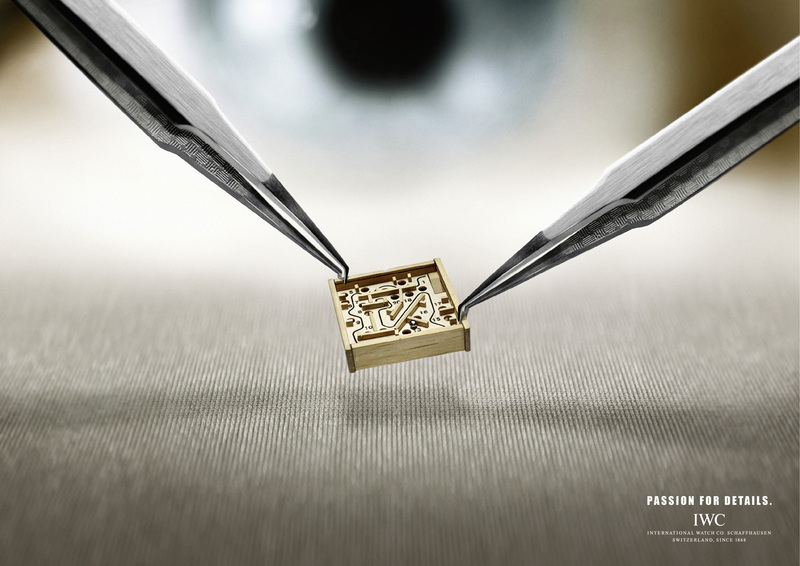 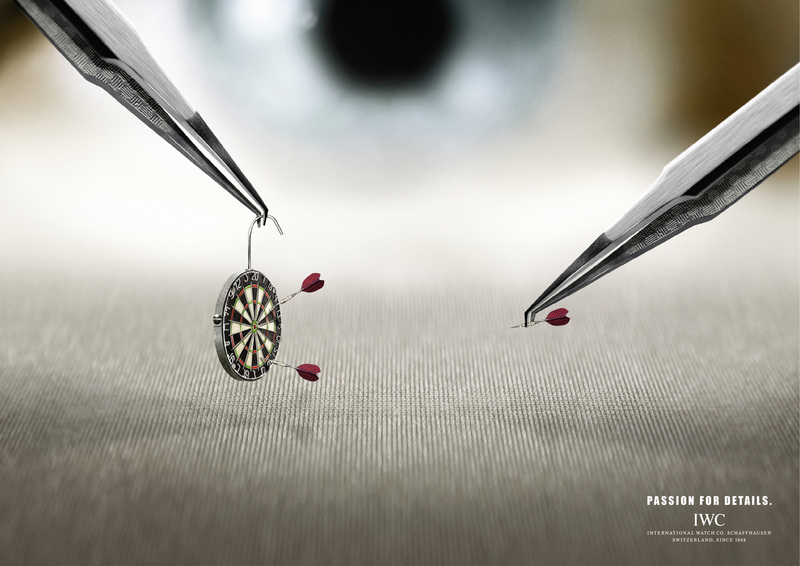 IWC (International Watch Co), a high-end Swiss watch manufacturer in Schaffhausen, Switzerland, demonstrates passion for details with this print advertising campaign designed by Jung Von Matt/Alster. Using a pair of tweezers as a reference point we’re shown the details of a flea circus, a miniature roller ball game, and a tiny game of darts. 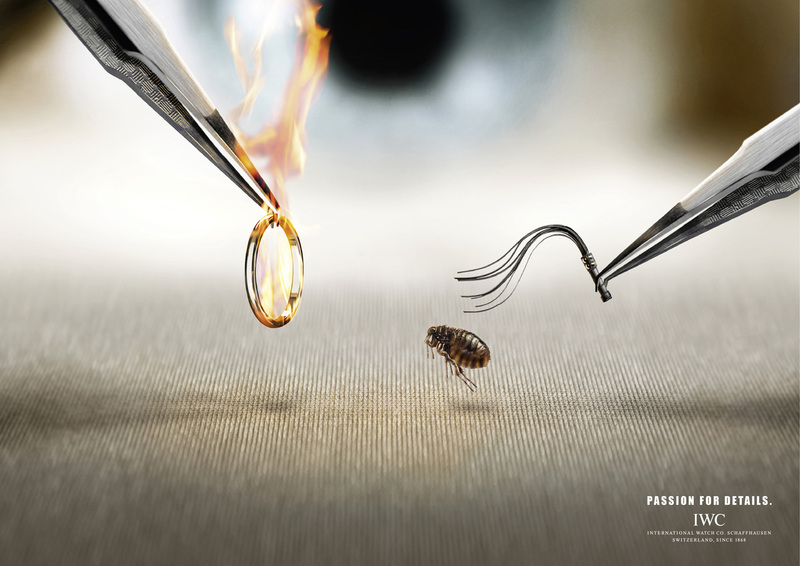 The Passion for Details campaign was developed at Jung von Matt/ Alster, Hamburg, Germany, by creative directors Daniel Frericks, Götz Ulmer, art directors Andre Price, Florian Zwinge, copywriter Robert Müller, project managers Markus Wieser, Miriam Paneth, and photographer Reinhard Hunger.